Open to UK parents, excluding employees of Bourne Leisure, their immediate families, their agents, or anyone professionally associated with this promotion. Five winners will win an ultimate story box exclusive to Butlin’s Just For Tot’s breaks. Each winner will receive a box, with an additional character as per his or her suggestion. The competition opens at 09:00am on Friday 28th August 2015 and closes at 15:00 pm on Friday 28th August 2015. To enter, send in your child’s suggestion for an additional character to join the fairy, princess, dragon, horse and wizard in our ultimate story box by uploading it to com/butlins or www.twitter.com/butlins using the hashtag #JustForTots. 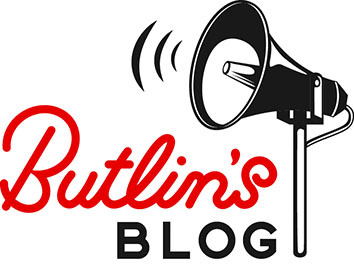 Five entries will be picked by the Butlin’s team after the close date and will win one story box per winner. The winners will be notified by email or phone within 7 days of the winning entry being confirmed and will have 14 days to respond. In the event that no response is made within this time, the Promoter reserves the right to offer the prize to a reserve winner. Proof of identity will be required. In the event of unforeseen circumstances the Promoter reserves the right to offer alternative prizes of equal or greater value. Winners may be required to participate in publicity arising from the promotion. By taking part in this promotion all entrants will be deemed to have accepted and be bound by these terms and conditions. The Promoter accepts no responsibility for any damage, loss, liabilities, injury or disappointment incurred or suffered by the winner as a result of entering this promotion or accepting the prize. Nothing shall exclude the liability of the Promoter for death or personal injury as a result of its negligence. The Promoter’s decisions are final in all matters relating to this promotion and no correspondence will be entered into. Back for 2016 by Popular Demand: Diversity!